From an artistic viewpoint, Philip Rivers has never thrown the prettiest pass. He sidewinds it, an almost horizontal delivery that seriously makes you wonder how it gets where it needs to go. Trust us, it gets there. And now it’s impossible to say looks are the most important quality a quarterback can have. 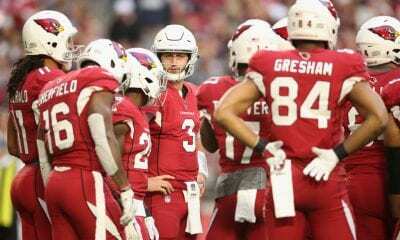 During the course of the Los Angeles Chargers’ 45-10 win over the Arizona Cardinals, Rivers set a single-game league record by completing 25 straight throws. He shattered a record held jointly by David Carr and Mark Brunell (22). Rivers also set a league record for single-game completion percentage (96.6) for QBs with a least 20 attempts. He tied Ryan Tannehill, who had 25 consecutive completions over a two-game period in 2015. And he became just the fourth ever to throw more than one TD pass in each of the season’s first 11 games, joining Aaron Rodgers, Johnny Unitas and Peyton Manning. 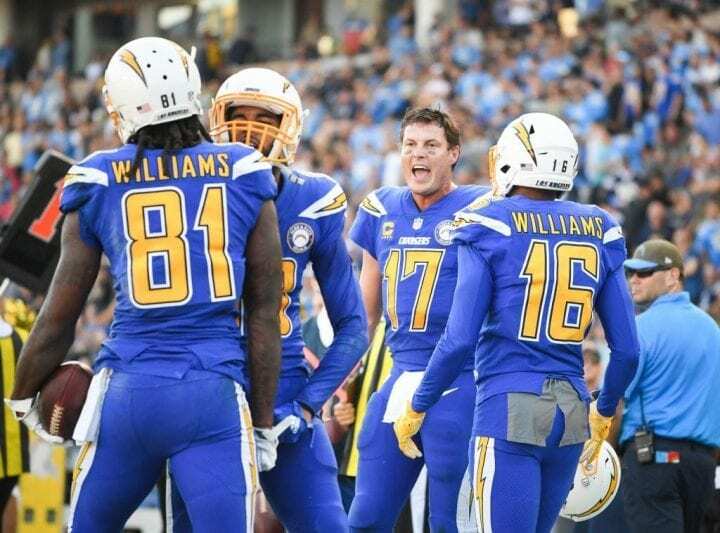 On Sunday, Rivers threw three TD passes. He was 28-of-29 for 259 yards with a passer rating of 138.4. More importantly, the Chargers (8-3) recovered from a loss to the Denver Broncos and are now just a game behind the Kansas City Chiefs in the AFC West. 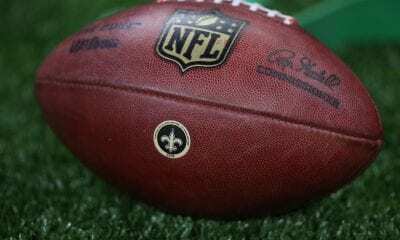 What might work against them is the knee injury suffered in the third quarter by running back Melvin Gordon, who had gained 61 yards for two TDs. 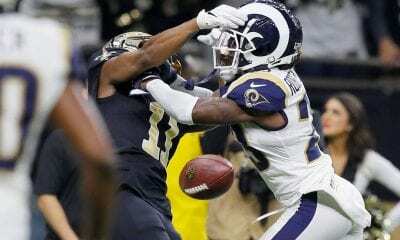 He had a towel draped over his head when he walked to the locker room and is expected to miss at least two weeks with a sprained MCL. Gordon leads the Bolts with 802 yards rushing and 453 yards receiving with a combined 13 TDs. 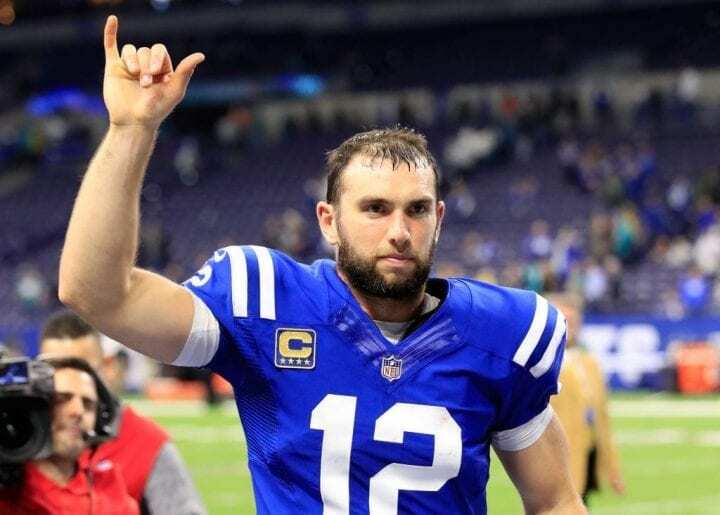 Anyone interested in analyzing the significance of Andrew Luck’s absence last season should take a look at how the Indianapolis Colts have grown since Luck returned and joined forces with Indy’s new coach, Frank Reich. The Colts have won five straight. The Colts (6-5) are exciting to watch again and a contender for an AFC Wild Card berth. Sunday’s 27-24 win over the Miami Dolphins simply confirmed both points. The Colts fought back from a 10-point deficit in the fourth quarter. Luck’s play has been aided by the air-tight play of his offensive line. The quarterback had not been sacked in five straight games until the Dolphins ended the streak with Colts center Ryan Kelly sitting out. Of course, it was Luck’s mobility late in the game that set up Adam Vinatieri’s game-winning 32-yard field goal at the gun. Luck dodged the pass rush and hit Chester Rogers for 32 yards on a 3rd-and-9. The first of Luck’s TD passes broke a tie with Jim Kelly for the eighth-most TD passes in first seven seasons. He later moved passed Kelly by throwing his 163rd. Luck also tied Peyton Manning for the most consecutive games in Colts’ history with at least three TDs passes (nine). Only Tom Brady (10) has been better. And Luck has thrown for 300 yards 31 times in his first seven seasons. And let’s not forget his contributions as a receiver. He made his first catch on a fourth-and-1 after splitting out wide and leaping to catch a throw from Jacoby Brissett for four yards. A few weeks after being fired by the Cleveland Browns, former head coach Hue Jackson was on the sidelines helping his buddy, Marvin Lewis, coach the Cincinnati Bengals against Cleveland. This did not sit well with a number of Browns players, particularly rookie QB Baker Mayfield, who took exception to Jackson’s presence with his deeds and voice following Cleveland’s 35-20 win. How improved are the Browns (4-6-1)? It was their first road win since October 2015. Mayfield threw for 258 yards and four TDs and conducted an offense that scored on its first four drives against the pitiful Bengals defense. Cleveland’s 28-0 lead was its largest since 2014. The four scoring passes were the most by a Browns QB in 10 seasons. Mayfield is 65-of-88 for 771 yards and nine TDs in last three games with new offensive coordinator Freddie Kitchens calling the plays. He has also been sacked just twice in his last three games. After the game, Mayfield was asked about the half-hearted handshake he had with Jackson after the game. After winning last week’s game against Jacksonville with a last-second dive into the end zone, Steelers QB Ben Roethlisberger returned the favor Sunday by inexplicably throwing a goal-line interception to Broncos defensive lineman Shelby Harris on a third-and-goal from the 3 with 63 seconds to play. It was an inauspicious way to end a day during which the Steelers (7-3-1) gained 527 yards, held the ball for 10 minutes more, but lost for the first time in seven games. Four turnovers, two inside the red zone, led to 14 points and helped Denver build its 24-17 win. The mistakes wasted one of the coolest plays of the season for the Steelers. Placekicker Chris Boswell took a direct center snap and hit offensive tackle Alejandro Villanueva for a two-yard TD on a fake field goal. Big Ben was 41-of-56 for 462 yards. The offense rolled to 25 first downs but scored only 17 points. JuJu Smith-Schuster has 13 catches for 189 yards including a 97-yard catch-and-run for a score. Antonio Brown caught nine passes for 67 yards. Marvin Harrison and Torry Holt are the only other receivers in league history with at least 800 receptions in their first nine years. Brown (126 games) has done it the quickest. Less than a year after designing an offense that led the NFL in rushing and was sixth overall, Jacksonville offensive coordinator Nathaniel Hackett was fired on Monday, the latest victim of the team’s 2018 nose dive. The Jags (3-8) had a dynamic offense last season, Hackett’s first as OC after two years as their QB coach. He became coordinator nine games in the 2016 season. But without top halfback Leonard Fournette (hamstring) for most of the season – along with a large number of injured offensive linemen and receivers – the Jags dropped to 15th in rushing offense and 21st in total offense and Sunday’s 24-21 loss to the Buffalo Bills was obviously the last straw. It was their seventh straight loss. The move is a concession that Jacksonville’s long-term strategy to build an offense around ball-control, defense and avoidance of turnovers and penalties did not work out this season after taking it to the AFC Championship game in 2017. Ironically, Fournette was tossed along with Bills defensive end Shaq Lawson for fighting after a TD reception by Jaguars wide receiver Donte Moncrief was reversed by replay review in the third quarter. The ball ended up at the 1 yard-line and eventually was pushed back to the 20 because of a sack and two penalties. And then Josh Lembo missed a 42-yard field goal. Typical of Jacksonville’s season.